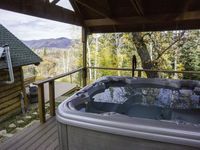 Properties in Routt County average 4.6 out of 5 stars. 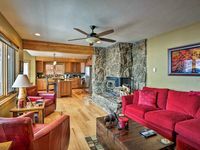 Property 2: Charming Cabin in beautiful Downtown Steamboat! BEST LOCATION in OLD TOWN! Property 11: Hideaway Haven! Secluded Cabin Nestled Against The Routt National Forest. Property 13: Mountain Ranch Retreat -Big Views! 12 min to the slopes! Family Friendly! Property 15: Mountain High Chalet - Quintessential Deluxe Chalet - Spectacular Views! Property 16: NEW! Private Luxury Cabin - 30 Mi. to Steamboat!